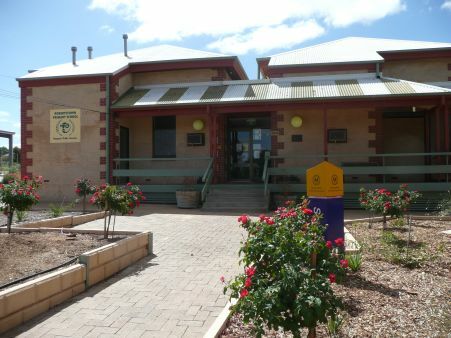 Robertstown Primary School is situated in a rural setting approximately 130km from Adelaide, with the main industries being grain farming and stock. The school’s motto is 'Respect, Pride and Success' and has an outstanding community involvement where the key stakeholders work together to create a challenging curriculum, based on successful relationships and individual respect. Our school values are: caring, honesty, getting along, responsibility and respect. Literacy and numeracy blocks are conducted in the morning, with students working in small groups with staff, providing a high level of individual and differentiated learning support. The Student Representative Council are supported by a PSW (pastoral support worker) to work on four key focus areas - charitable fundraising, school promotion/publicity, facilities/grounds development and lunchtime activity sessions. The school community is very supportive of the annual electives program in term three and students also has access to Christian Education Seminars organised by the local church group. There is a strong emphasis on sport and the school participates in local football, netball, basketball, athletics, tennis and swimming carnivals. An annual concert is held at the end of the year.